Charles has worked in real estate since graduating high school in 2007. He has worked with investors and homeowners to manage and create revenue for their income properties throughout the DC metropolitan area. His top priority is building a sustainable relationship with his clients, managing their expectations, and utilizing all network resources to ensure a professional and customer service based experience. A native Washingtonian, Charles knew at a young age that he was destined to build a career in real estate. 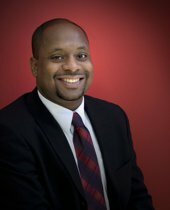 Charles attended Henry Smothers and Takoma for elementary school, Paul JHS for middle school, Gonzaga College High School, and graduated from Morehouse College in Atlanta, GA.
Charles is committed to making a difference in the Washington metropolitan area through real estate. The greatest joy for Charles is helping others understand the importance of homeownership as a path to build wealth for oneself and family. It’s the best of both worlds since he can work and do the same for himself, thus practicing what he preaches.